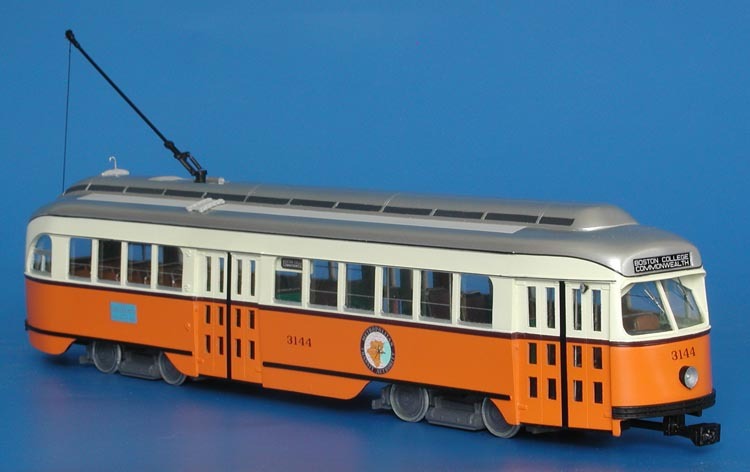 Model 1946 boston elevated railway pullman-standard pcc (order w6710; 3197-3221 series) - "as delivered" livery. 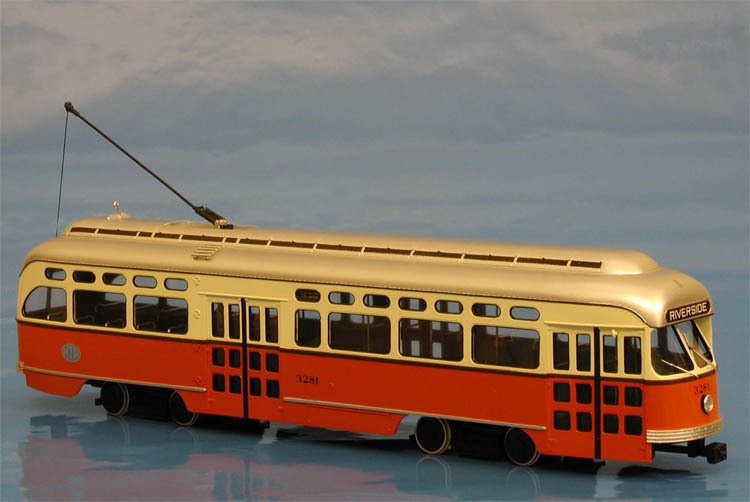 These twenty-five cars were initially part of the large war-time order, placed by Boston Elevated Railway with Pullman-Standard for air-electric cars in 1944. 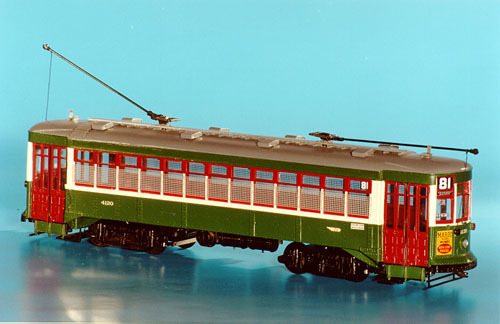 When Baltimore cancelled its order for 100 all-electric cars, Pullman offered this design to Boston Elevated Railway and despite the dislike of the all-electric concept by Superintendent of the Rolling Stock & Shops Ralston B.Smythe, Boston agreed to have 25 cars of 1944 order built as all-electics but without multiple-unit capability. 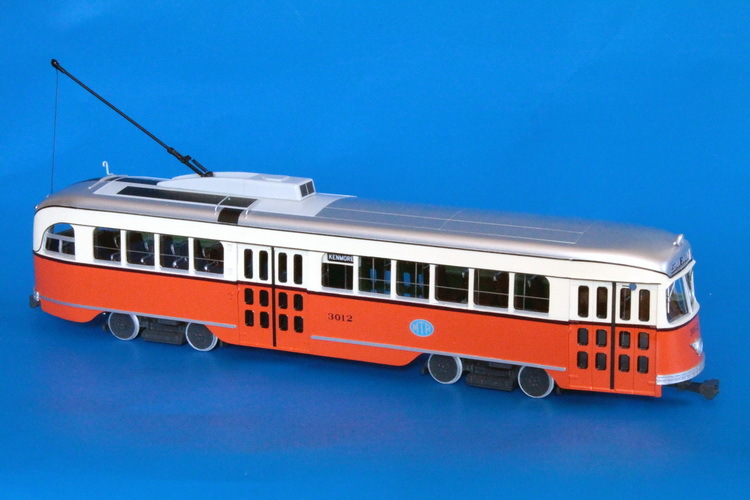 The completed cars were arrived in Summer 1946 and were numbered 3197-3221. 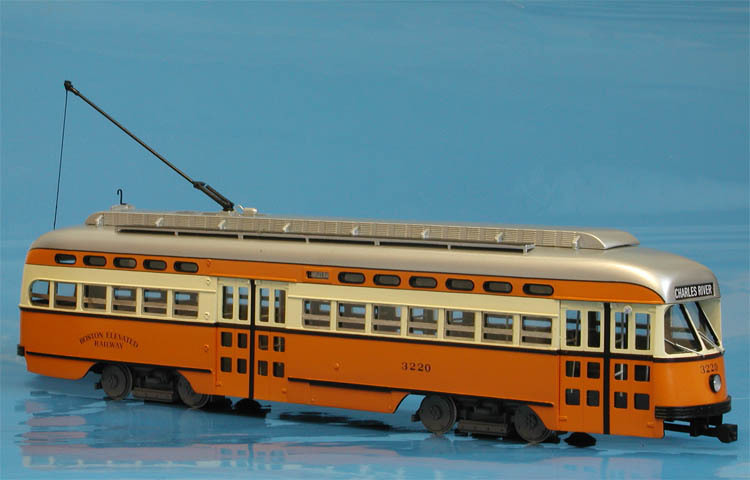 Car 3201 was diverted directly from Pullman's Worcester plant to Shaker Height Rapid Transit where it was operated for a ten-day trial period during June 1946 and then was returned to Boston. 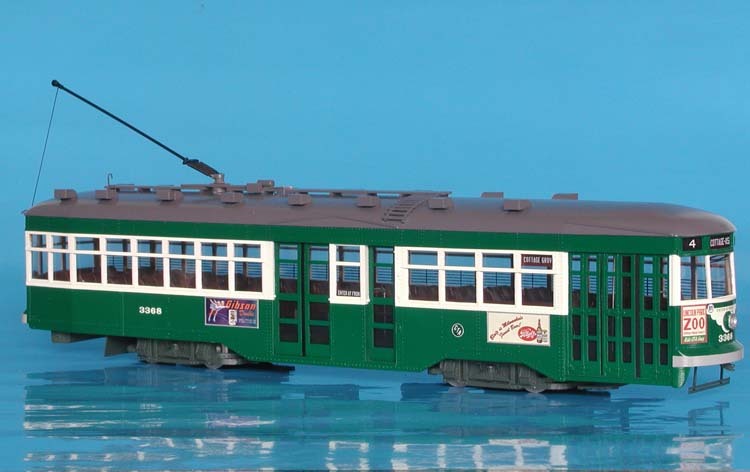 Twenty cars (3197-3216) were put in service to City Point lines out of south Boston. Remaining five cars (3217-3221) went to Arborway Division. 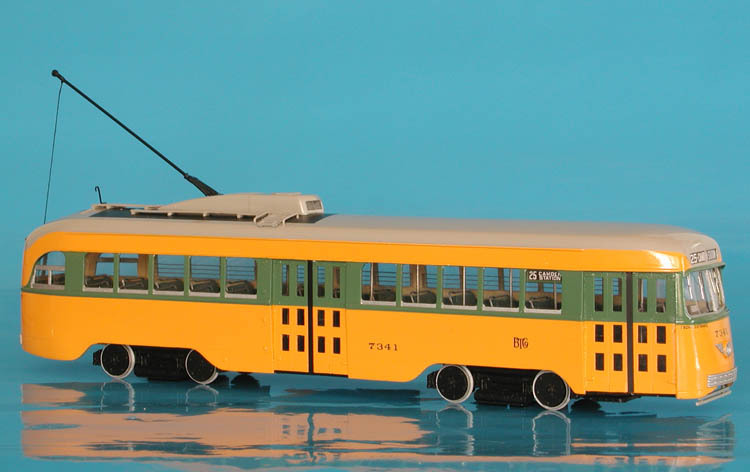 1940/42 Baltimore Transit Co. Pullman-Standard PCC - late 1940s NCL livery.